...Unfortunately, we have not yet discovered how to directly embed a Smugmug video into this forum (running on our current Vanilla forum software). You can, however, link a file or video that is hosted on your Smugmug galleries. That part is simple, but it would just be a clickable text link, which I don't think you want. Since it is not currently possible to directly embed the Smugmug video, the way I would go about doing that is to use a still image from the video and embed that instead. Then edit the link to directly play the video at your Smugmug site. This involves some magic on your part. What you need to do next is to manually edit that long HTML link you just posted. This involves bringing up the video on your site in a different browser tab. Look at the link at the top of the browser that starts with the "https...." up there. Copy that. Go back to the thread you just posted and edit the link replacing the first sequence of the "https...." that is in that embedded long HTML with what you just copied. But only the part between the quotation marks. Hit the green Save Comment there on the bottom. You can even get more creative and upload a photo with what looks like a play [ > ] icon in the middle of the photo, which would look like a video which would play immediately upon clicking the [ > ], which will actually happen. Click the image to go to a video. NOTE: This will directly open a Smugmug site). If I wanted to re-edit the photo, it would be super easy to also include a "play" icon in the middle of it. OK, looks like you're attaching rather than embedding. This is the code I used above. This might display weird in the forum, but it is one continuous string. The first part of this, immediately following the <a href=" and just before the "> is the video component. If you have your video open at your site, it is what is displayed at the top of your browser. Copy/paste that between the first " and the second ". 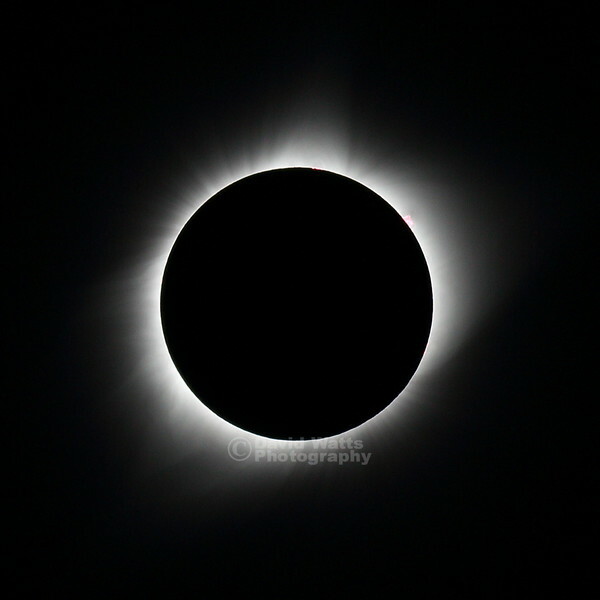 The second part, and starting right after the <img src=" is the photo of the eclipse I used in the above example. This is what is displayed also at the top of your browser when you look at the photo on your SM site in the Lightbox viewer (the full one-picture display mode when you click your own photo at your site and make it full size). The eclipse photo and the video above happen to be in the same gallery, but they don't need to be. You could use a photo anywhere on your site to display the splash image. Again, I could upload another photo somewhere on my site with a huge ">" play graphic in the middle of it if I decided to edit another version and put one up there. We're hoping that Vanilla allows us to directly embed our own SM videos some day, but this is the only way for now to do this using your Smugmug account. For those with Vimeo or YouTube accounts, you can link to those services directly and have them play right within a post more easily. Oh, I should have mentioned that I first generated the code using the individual photo or video Lightbox view > Share Icon > Photo > Choose Size > HTML, then do a cut and paste. I replaced the first section of that code (between the "'s) to include the video Lightbox page and not the photo. That's why clicking the photo goes right to the video instead. Best to have the gallery(s) set up for Access = "Anyone." Another option is to load the video to Vimeo, paste the link directly into your post.